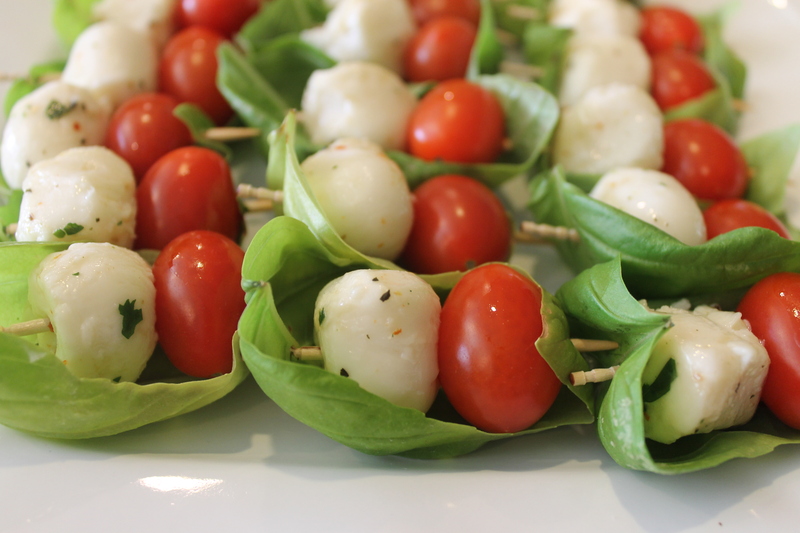 I found these lovely little appetizers on Pinterest and made them last weekend for a dinner party. The picture doesn’t show the final product, which was drizzled in olive oil and balsamic reduction, but it does the little beauties justice. In addition to adorable, they are delicious! 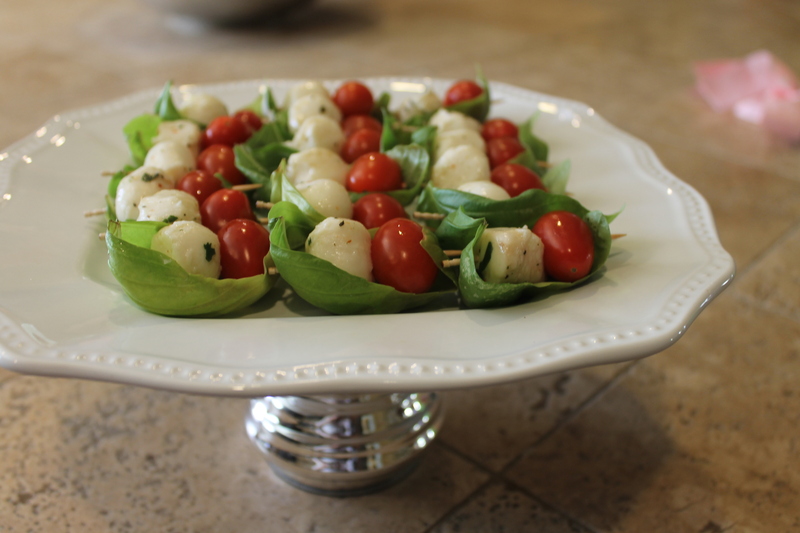 Little basil leaves wrapped around mozzarella balls and grape tomatoes…bite sized caprese salad! They look great! Pinterest is so good for this sort of thing. What? You made a pin? I’ve made a dumb habit of pinning the most ridiculous projects and never making them. This? I might actually try!